GIW’s state-of-the-art laboratory benefits GIW’s internal research and development team by giving its members a venue to evaluate and develop new pump technologies and features. 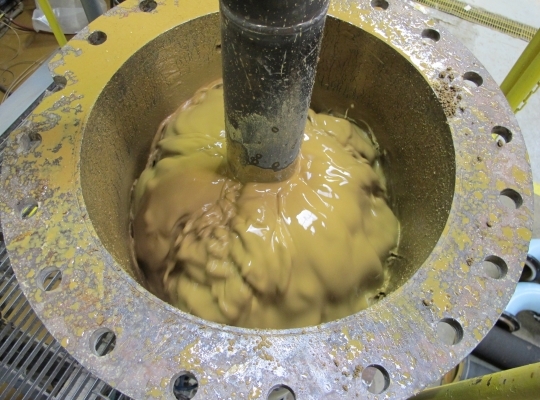 GIW’s Hydraulic Lab also exists to help customers analyze their slurries, as well as to learn everything we can about nearly anything that might ever need to be pumped. 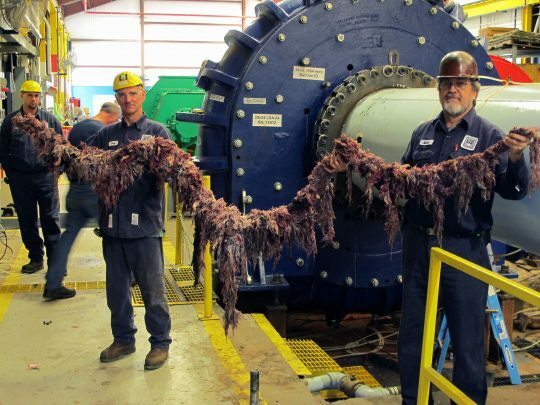 We base our understanding of success on our customers’ successes — and this includes testing whatever slurries our customers encounter. “In my tenure at GIW,” says George McCall, GIW Hydraulic Lab Manager, “the strangest slurry that the Hydraulic Lab has pumped was the salt and brine from the Dead Sea (the lowest point on earth).” This project occurred in 2014. 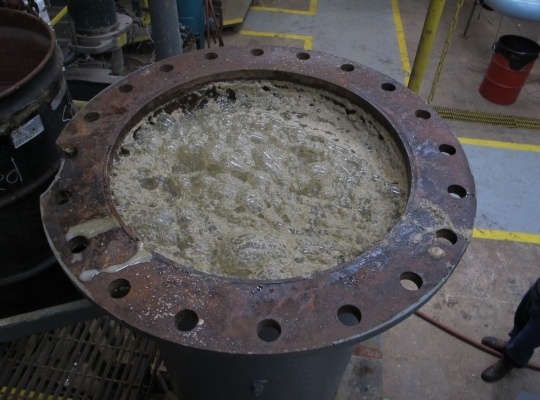 Mr. McCall says that it is unusual for a customer to supply “both the slurry solids (the salt) and the slurry liquid or carrier liquid (the brine).” This experience was challenging, involved, and an important test. 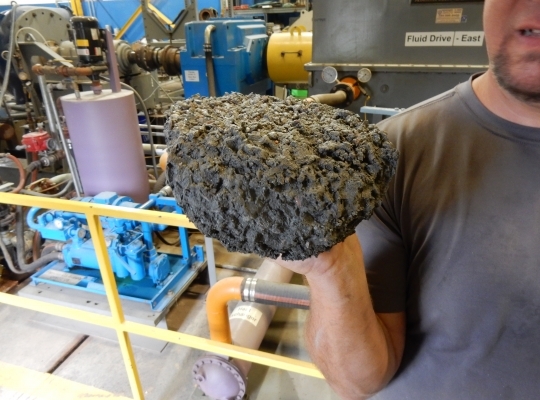 Other odd items Mr. McCall has encountered in slurries include rags, bubbles, rocks the size of basketballs, bitumen (a black, viscous, naturally occurring liquid sometimes used on roads and in roofing), corn syrup froth, six-inch (150 mm) granite rocks, smelting furnace slag, and the list goes on. 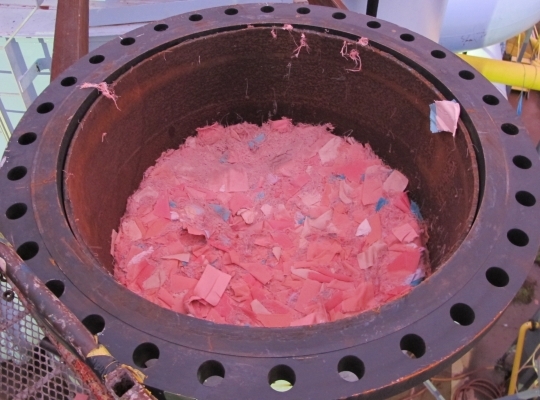 GIW has operated its own full-scale slurry pump test facility since the 1950s. The test facility currently covers clear water pump performance testing, slurry and equipment testing (designed to support new technology and help older technology innovate for efficiency and safety), and internal product development and R&D to evaluate new products and explore new technologies. In the end, all of these services are designed to support customers. No matter how strange, untested, bubbly, full of plastic, or downright historic, GIW has your slurry pumping needs covered. 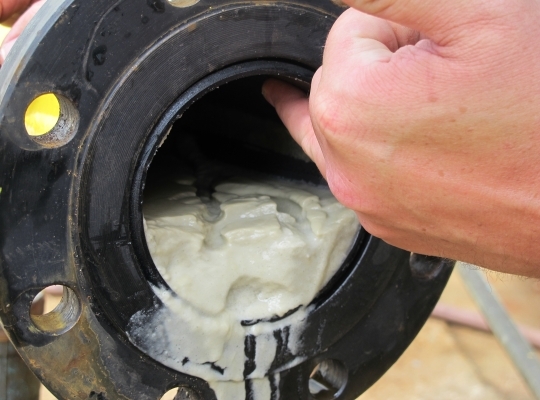 We can provide whatever slurry testing support you need. GIW has the experience, capacity, and solutions necessary to meet your needs in every respect. If we can assist you in any way, please contact us at 1.888.TECHGIW (832-4449) or visit us online.